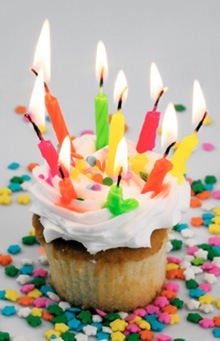 Yesterday was My Birthday and for last three days I was not even ONLINE! I was out of city and I had no access to computer and internet there. Today I just come back home and was delighted to read so many awesome emails from my online friends wishing me happy birthday, thanks to all of my great friends. But one thing which made me feel so special and happy that I HAVE no words to describe i.e. 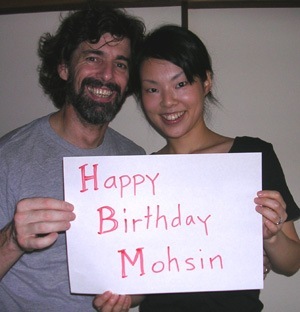 My Birthday Was Celebrated in Japan by My Bro and Sister also!!! Do not believe me? Ok check this post and blog by Kevin Riley, my brother, and my Senpai (Mentor) click Here for Blog KevinRileyInc.com I really love this!!! 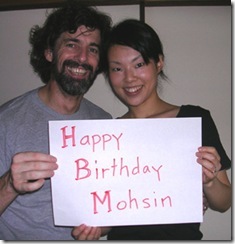 One more thing which made me feel happy and special was a chain of Wishes from Warrior Friends in Warrior Forum, Yeah Warriors also celebrated my birthday in Warrior Forum, check here Happy Birthday Mohsin a great thread in Warrior Forum! I want to thank all of my friends who sent me wishes on this special day in my life. Especially I want to thank Kevin and Rieko, really you made me feel so happy and special. I am proud to be young brother of you.